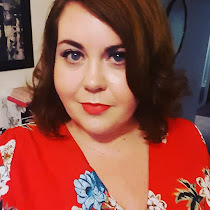 Today I am happy to say that I have the fabulous +Just me Leah guest posting on my blog today, so I will hand you over to her. Hi, I’m Leah and I blog at www.justmeleah.co.uk. Thanks to Vicky for giving me the opportunity to guest post on her blog. As bloggers, people who comment on blogs, or people who use social networking pages and forums regularly we’re all at risk of coming into contact with people who share a very different set of values and beliefs to us, which can lead to conflict. For this post I will be writing from the perspective of you being the one who’s on the receiving end of conflict. If you’ve been active online for a long time and haven’t come into conflict with anyone I’d hazard a guess that you’re in the minority. The first time someone sought me out over something I’d said was on MySpace almost 10 years ago. Someone called me an emo (and much worse) because one of the many bands I said I liked in my introductory post in a group about rock music didn’t fall into the rock/metal category according to them. There have been many occasions since then where someone has felt the need to tell me how wrong I am about something, the last of which was very recently. The circumstances each time have been different and have warranted differing courses of action. There are three categories of people you may come into conflict with. 1. The person you’re in conflict with is using an anonymous profile. I would advise caution, because you have no idea if the person in conflict with you is a slightly pissed off keyboard warrior, someone having an off day who might later regret their comment, or an unhinged person with an agenda and nothing better to do than pick your life apart for their own amusement. I don’t allow anon comments on my blog as I think it gives people the opportunity to do their worst. If your blog or social media page has an option to pre-approve comments, think hard about whether you want to publish negative ones. Do you want to respond to the person if you publish it, or leave it there and have someone else possibly stick up for you and get drawn into it? What effect might getting dragged into a slanging match have on you and the other people who can see it? 2. The person you’re in conflict with is well known to you. How you proceed depends on their relationship with you and how your response might affect things outside your relationship with them. For example if you fall out with a friend of a friend, how will that affect things with your friend? If a family member has said something out of order, is it worth making life awkward for the whole family? Think hard and take a little time to breathe before saying something you can never take back. If they’ve said something unconscionable, I would suggest blocking them rather than having an ongoing conflict. The break might do you good and at a later date a reconciliation might be possible. You never know. But if it's someone on Facebook who's overstepped the mark, the choice is yours to reply or delete their comment and/or block them. 3. The person you’re in conflict with is using an account or username you can Google search. You’ve just hit gold, my friend! Everyone using a regular username leaves breadcrumbs you can follow, and most of us are creatures of habit after all. If you can Google their name/username, within a few clicks you can find out whether they’re trolls who do this a lot, or it’s somewhat out of character. When someone took exception to a throwaway comment I made on someone else’s blog recently I Googled her username, and something very interesting became apparent. She rarely commented on a post to say anything good. In fact she rarely commented on a POST at all. Instead she’d find something contrary to say to someone who’d posted in the comments. I had been contemplating replying to her, but when I saw she was the kind of person who mainly looked for something to argue about, I knew the kind of person she was and decided I didn’t need to go there. Know your ‘opponent’ where possible because it will dictate your course of action. · Some people are trolls, pure and simple. They enjoy getting a rise out of someone and if you respond it’ll make their day. · You have the choice to delete and ignore the comment, reply once and say your piece in full and never comment again, or be drawn into a dialogue which might go bad like milk in summer. There’s no right or wrong decision – just take a few deep breaths while you decide what to do. It’s hard to be calm when you feel under attack but you can’t unsay something once it’s on the internet. · I’ve regretted answering back a couple of times but have never regretted deleting a crappy comment and forgetting about it. · There are some people who ALWAYS have to have the last word even if they’re wrong. These people will gain pleasure from keeping a row going until you give up. Then they think they’ve ‘won’. · There are some people who don’t even care what subject you’re talking about. They have a superiority complex and will argue to prove to themselves how great they are. They will argue about the colour of the sky for the joy of arguing. Leave them alone in a room and they’ll argue with their shadow. Avoid. · There are some subjects which are so contentious you and the other person could debate/argue for months and still NEVER see eye to eye. You have to work out if there’s any point in wasting your energy on someone like that. What are your tips on dealing with conflict? Feel free to let us know your troll horror stories in the comments. Enjoyed reading this post Leah, very practical tips!